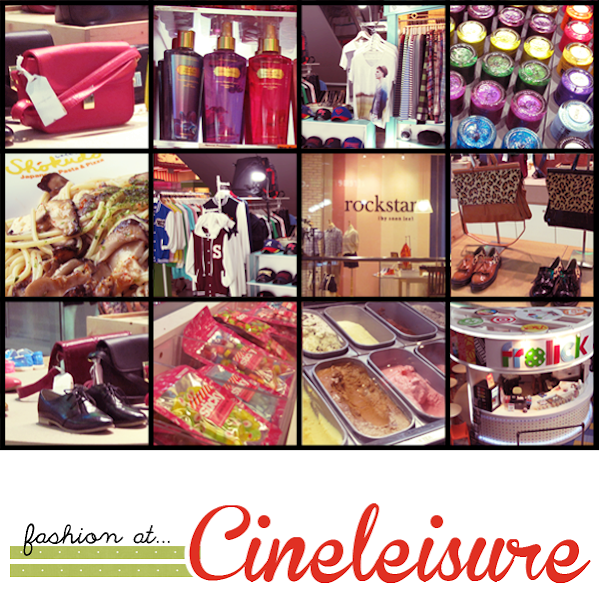 Cineleisure has a myriad of shops, chock-full with clothes, shoes and accessories! And you can literally find them everywhere; the moment you step into the mall, when you reach a new level, a few steps away from the restaurant you're eating at... Literally everywhere! For me, Cineleisure differs from your typical mall because the shops aren't the common ones. You can get clothes which you won't be seeing on someone else. Like sometimes, when I'm walking on the streets, I go "OH! That top is from ZARA! ", "I definitely saw that in F21!" or ummm on a slightly more 'embarrassing' level, "HMMM. That girl and I are wearing the same printed blouse!". 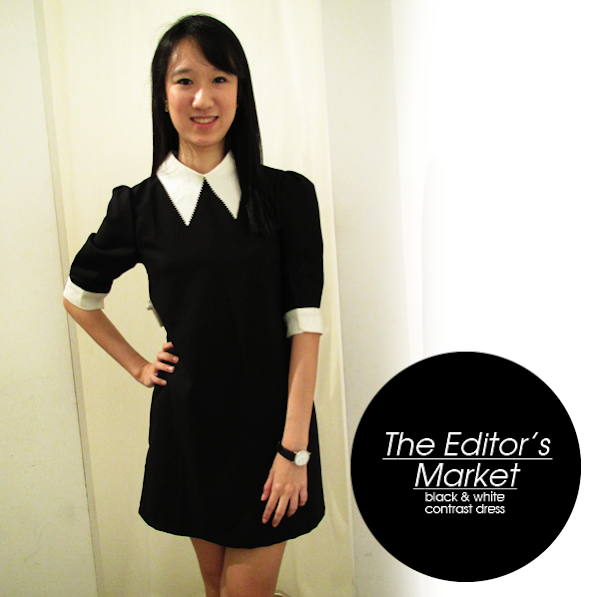 The Editor's Market is a store that prides itself on being fashion-forward and brings in clothes and accessories that are unique and worlds apart from the cookie-cutter stuff that we see on the streets. The store is also known for their step pricing system; the more you buy, the less you pay! So gather your friends together and shop to your heart's content! I love, love, LOVE the preppy look and gosh! Black and white! A classic and classy combination (Think: Alexa Chung.). Black also creates a 'slimming down' effect. Collars immediately smarten up any clothing, making this a perfect number for work and dinners. 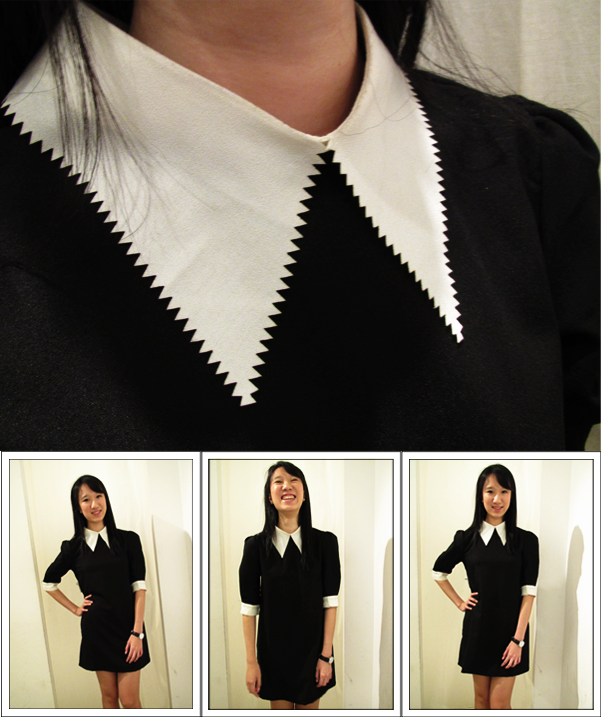 And this collar takes on a twist by having some 'teeth' details. And here's a close-up of the collars and some shots of me 'modelling' (I think you have seen more of me in photos for this competition than any other entries! Ever.)! I didn't like pastels and yes, I didn't like Precious Moments. Pastels just seemed to make everything look completely washed-out. It's like you didn't edit the contrast of your photos or there's like a blurry film in front of your camera when you are taking photos. So I wasn't too thrilled when Fel picked the top out for me but because I am crazy over Peter Pan collars (And this has little crochet-like details on it! ), I decided to give it a try. 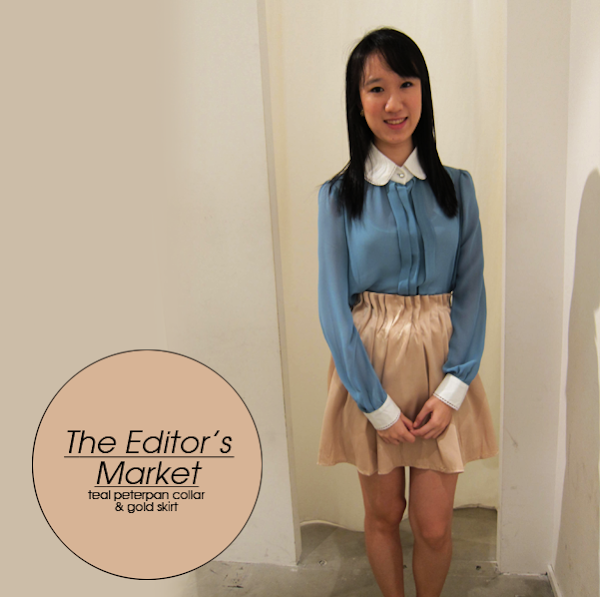 And Fel paired it with a very pretty gold dirndl skirt. AND GOSH!!! Fel may have totally 'revoluntionized' me because I'm IN LOVE with pastels now (But I still don't like Precious Moments. I think.)! HAHAHA! I actually like how pastel look on my skin and this outfit is completely to die for! The matching, the style... It's like Alice in Wonderland and all I'm missing is a headband with a ribbon! Tee hee! But the top was slightly too big for me, so it kinda ballooned out when it was tucked into the skirt. A good shirt/ blouse shouldn't do that. Beck Berry is THE store to go to for all things vintage! Not only do they have clothes that are in the style of the '40s, they are also flooded with ornaments and stationary that mimic earlier generations. 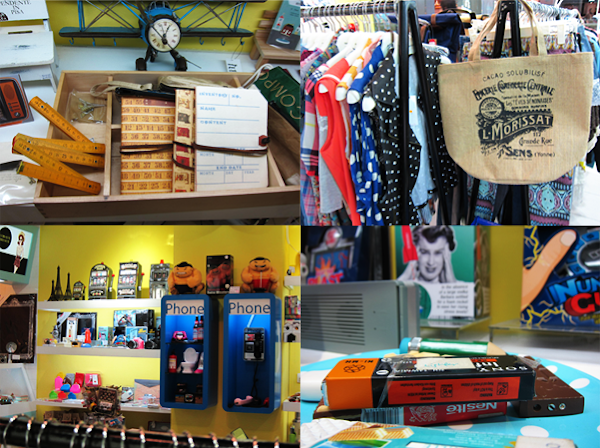 It's a real funky store in a burst of bright, cheery colours! Fel and I loved the store to bits! I forgot to take a shot of the polke-dotted dress I wore in the video but this is the other dress that I bought! I usually avoid dresses that show my arms because they aren't slender (Pretty muscular actually. I totally get why guys who gym have big arms. You just want to keep increasing the weights you carry! I started out with 0.5kg, 2.0kg, 2.5kg and now I use those pushing out machines with 7/ 8kg.). Cap sleeves and no sleeves are not flattering on me at all. SIGH. Anyway, this dress caught my eye because... You got it! It's pastel blue! Hahaha! And the prints on the top are pastel too! And this dress comes with the ever-girlish and classy pleats! It's makes me feel like I'm on yacht when I wore this! Very feminine and light, it's a perfect weekend dress! 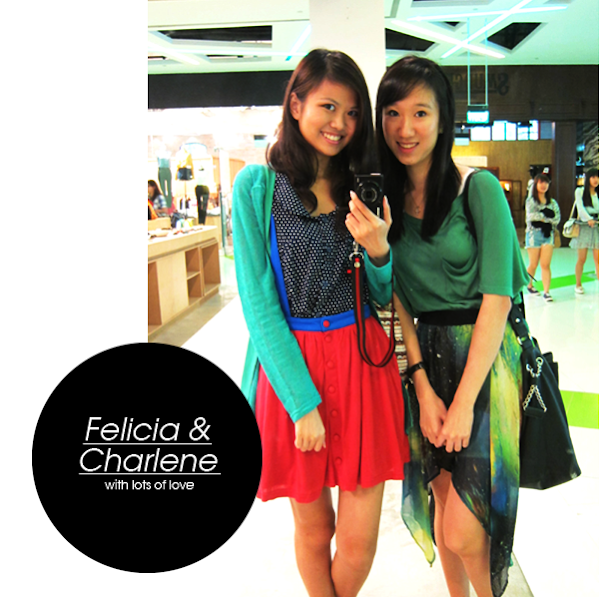 For the clothes that I picked for Felicia, head on over to her blog here! Thank you, dear Fel, for the 3 lovely Mondays spent (And I'm sure more will come when the hols roll in! HOLA!)! And oh yes! I need to mention that Fel totally taught me how to model and take nicer photos of myself. So perhaps, you will see more of me on the blog (My friends say that they hardly see my face in my posts.). Anyway, voting has begun and I would appreciate it a lot if you could vote for 'Fel & Char' here! You will need to sign into Facebook at the top of the page.